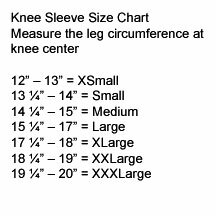 U.S. Patent # 4,474,573 (Open Patella) Same patented features as the 130 Diamondback Knee Sleeve but with a patella opening. 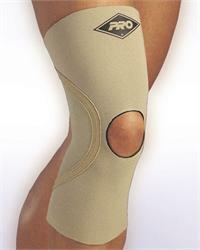 Geometrically opposed seams provide a bent-knee configuration while eliminating bothersome popliteal irritation. 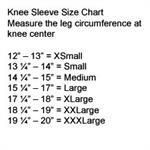 The comfortable controlled tension fit of the sleeve makes it ideal for all-day wear.